It’s time for another round of the One Room Challenge! 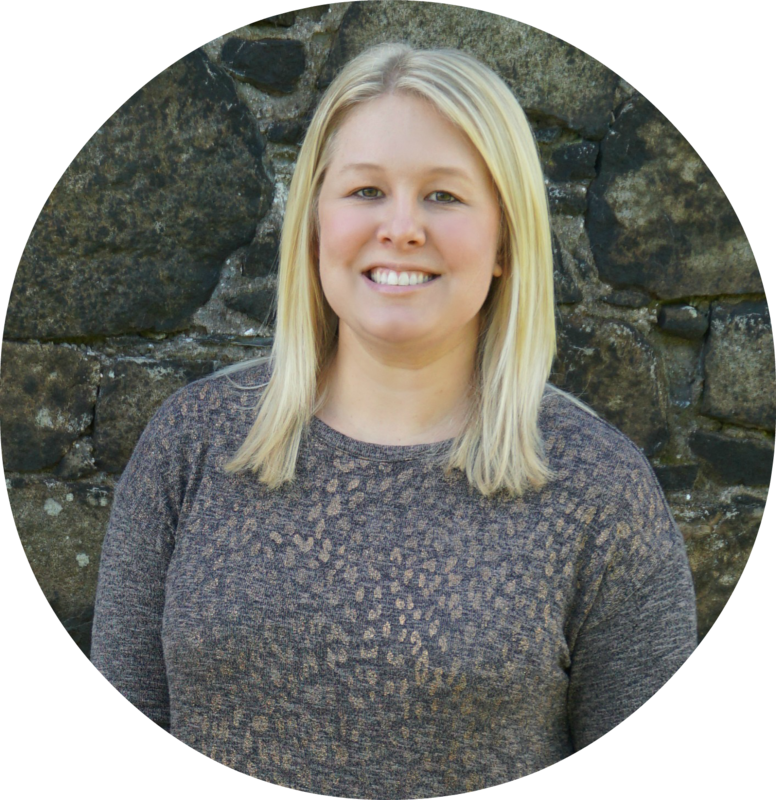 If you’re unfamiliar with the ORC, it’s a bi-annual room makeover event created by Linda from Calling It Home. The 20 official participants and the 100+ linking guest participants have 6 weeks to completely makeover a room of their choice. Participants post their weekly progress leading up to a full reveal on November 7th (official participants) and 8th (guest participants). I’ve participated many times in the past with varying degrees of success. 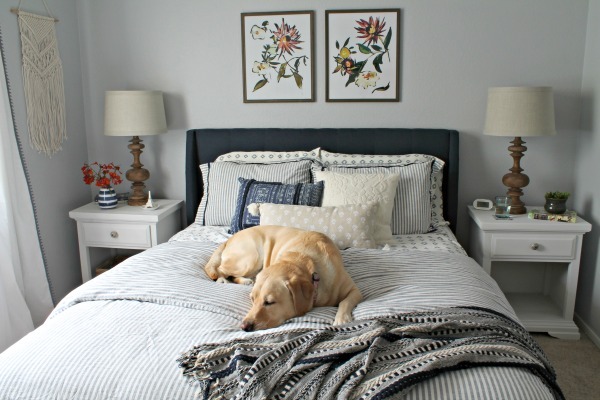 I completed our guest bedroom during the spring challenge and I’m still obsessed with how it turned out. The year before I tried to makeover our garage, but it ended up being a flop thanks to shipping delays. During past ORCs I’ve also worked on the master bedroom, the dining room, the laundry room and master bathroom! For this round I’m refreshing our guest bathroom! 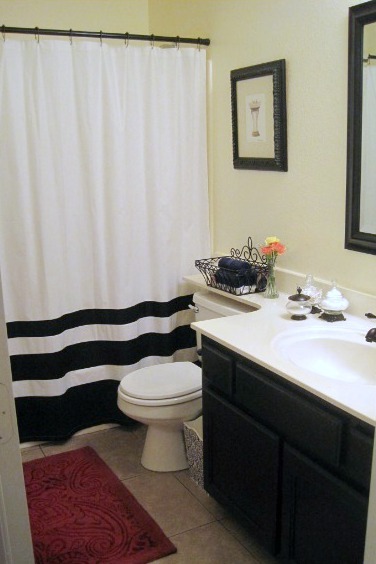 The guest bathroom was the first room makeover I completed when I moved in 7+ years ago. 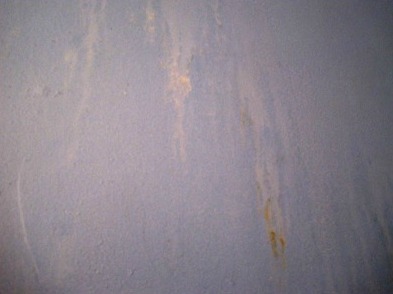 The walls were pretty gross so I quickly painted over them. I also painted the vanity, took down the giant builder-grade mirror and added some accessories. I really liked how it turned out at the time, but my style has changed over the years and I’ve always wanted to make a few other upgrades to the room. So the picture above is the after picture from my first makeover, but I also want to share how it looked when I first moved in so you can get a full picture of the evolution of this room. I’m not sure what was on the walls, but yuck! 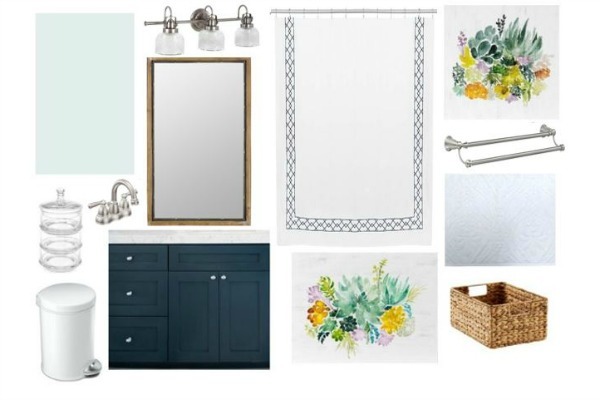 Before I get into the plans, I want to share the mood board that I put together for this guest bathroom makeover. These aren’t necessarily the exact items I’ll end up buying, but it’s the general vibe I’m going for. The biggest change in the room is going to be the countertop. We’re replacing that dated one that goes all the way across the toilet with one that’s just over the vanity. 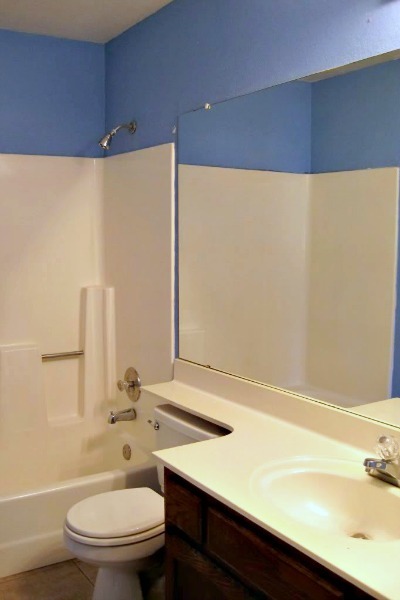 I’m also going to paint the vanity navy and get a taller toilet. The current toilet had to be a shorty to fit under the countertop, but now we can get a regular height one. I’m also planning to repaint the room a very light blue and change out all of the fixtures to brushed nickel. All of the accessories will change too – new mirror, light fixture, shower curtain, rug, etc. Structurally, nothing will change. I’m planning this to be a refresh, not a full remodel. I would love to replace the tub and shower with a bright white tub and beautiful tile, but it’s not in the budget and not really necessary right now. The tile on the floors is the same throughout the house, so that’s not changing either. This isn’t going to be some magazine-worthy, Fixer Upper makeover. My goal is just to make a basic bathroom beautiful on a budget. With that, here’s the to-do list for the room. Full disclosure, I’ve already crossed off the first 2 items. Both required hiring outside help (an electrician and a drywall company) and I didn’t want to be delayed by their schedules. The drywall company is amazing, but is always booked out at least 2 weeks and I can’t wait that long when I only have 6 weeks total, so I decided to get a head start. I’ll talk more about those steps next week. Don’t forget to check out the official participants here and the other guest participants here! There are so many amazing makeovers planned! I can’t wait!